Popular IIem / It's a jungle out there! Small trade show, beach theme. 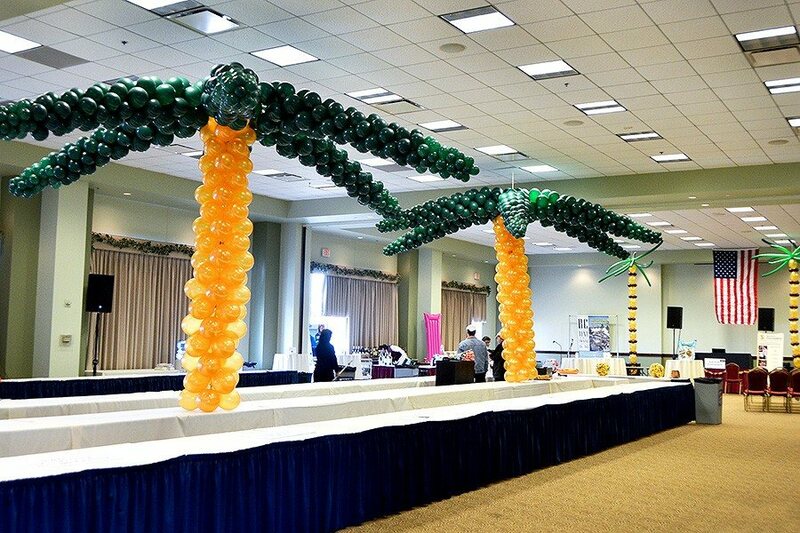 Two big balloon sculptures - palm trees and several small ones. 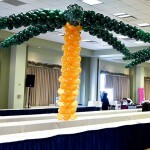 Even though the room is big, the fact that palm trees a "floor to the ceiling" sets the stage the moment you walk in.